As per previous announcement, yesterday Rovio successfully launched Angry Birds Star Wars game to all major devices with various price tags. 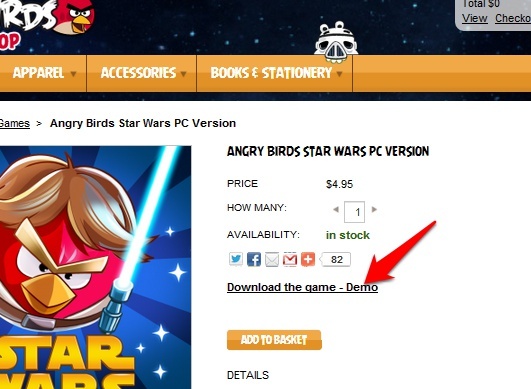 Angry Birds Star Wars cost for PC version around $5. 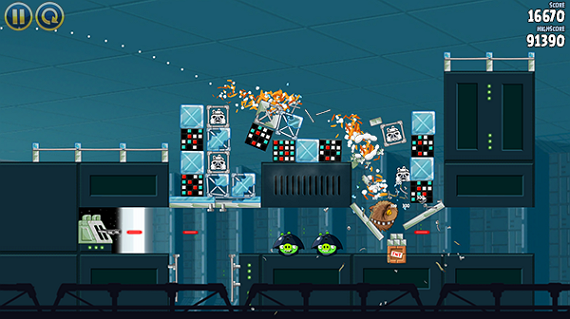 Rovio offers free demo version for Windows users through online store. So Windows users can play Angry Birds Star Wars for free on your PC.Original Star Wars edition have 80 levels in iconic locations but in the demo version users can play few levels only. Before download please check basic pc requirements to install Angry Birds Star Wars. Then click on Download the Game-Demo link. That's all! your download will start, after download completed click .exe file to install Angry Birds Star Wars game to your PC. Then Play Star Wars for Free.